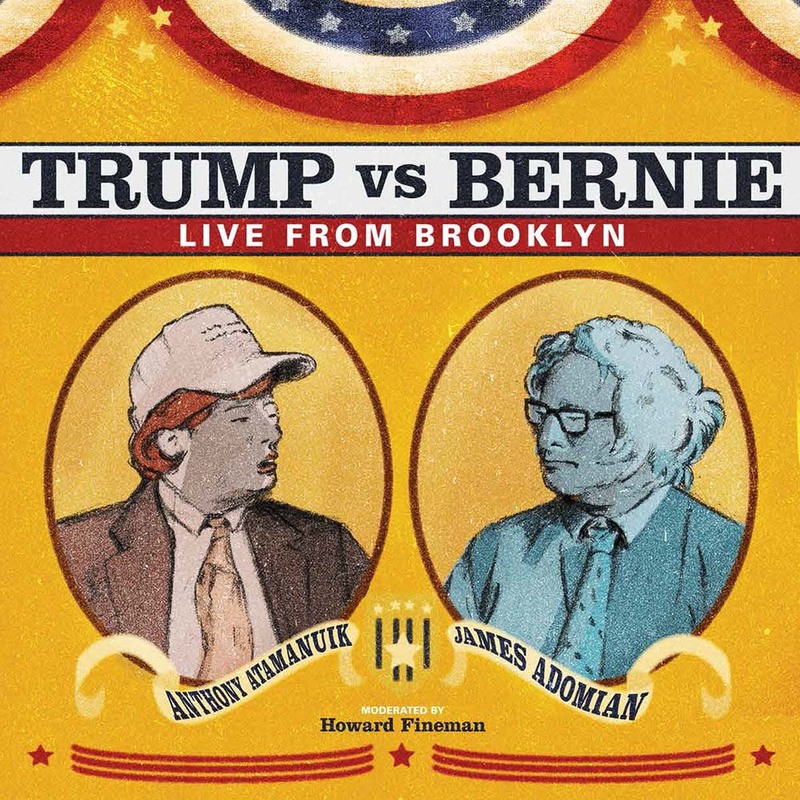 Comedians James Adomian (Bernie Sanders) and Anthony Atamanuik (Donald Trump) bring two of the most controversial candidates in history, head-to-head, or rather bald-to-toupee, in a debate unlike anything you've ever seen before! The Presidential contenders will battle to prove once and for all that they are the candidate worth your vote! While Bernie Sanders continues to win among those who feel guilty shopping at Whole Foods, Donald Trump is killing it with voters who support killing just about everyone.